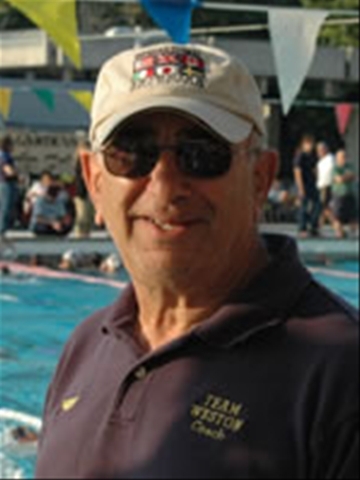 FORT LAUDERDALE, JULY 21, 2008 – The International Swimming Hall of Fame today announced the Honoree Induction Class of 2009, consisting of 9 of the greatest names in aquatic history. “This is clearly one of our most diverse and international classes in a long time,” said Bob Duenkel, ISHOF’s staff liaison to the international selection committee of over 150 aquatic authorities. The class of inductees includes two honorees from the Netherlands, Russia, and the USA, and one from the nations of Italy, Japan and Great Britain. INGE DE BRUIJN (NED) Honor Swimmer, ALEKSANDR POPOV (RUS) Honor Swimmer, Jenny Thompson (USA) Honor Swimmer, OLGA BRUSNIKINA (RUS) Honor Synchronized Swimmer, Gianni Lonzi (ITA) Honor Water Polo Player/Coach, KEVIN MURPHY (GBR) Honor Open water swimmer, IKKAKU MATSUZAWA (JPN) Honor Coach, JUDY McGOWAN (USA) Honor Contributor/Synchronized Swimming, and IET VAN FEGGELEN (NED) Honor Pioneer Swimmer. FOR THE RECORD: 1992 OLYMPIC GAMES: 8th (100m freestyle, 4x100m freestyle); 2000 OLYMPIC GAMES: gold (50m freestyle, 100m freestyle, 100m butterfly), silver (4x100m freestyle); 2004 OLYMPIC GAMES: gold (50m freestyle), silver (100m freestyle), bronze (100m butterfly, 4×100 freestyle); ELEVEN WORLD RECORDS: 4 (50m freestyle), 2 (100m freestyle), 2 (50m butterfly), 2 (100m butterfly); 2001 WORLD CHAMPIONSHIPS: gold (50m, 100m freestyle, 50m butterfly); 2003 WORLD CHAMPIONSHIPS: gold (50m freestyle, 50m butterfly); 1999 WORLD CHAMPIONSHIPS (25m): gold (50m freestyle), silver (4x100m freestyle). FOR THE RECORD: 1992 OLYMPIC GAMES: gold (50m freestyle, 100m freestyle), silver (4x100m freestyle, 4x100m medley); 1996 OLYMPIC GAMES: gold (50m freestyle, 100m freestyle), silver (4x100m freestyle, 4x100m medley); 2000 OLYMPIC GAMES: silver (100m freestyle), SEVEN WORLD RECORDS: 50m freestyle 100m freestyle (50m), 50m freestyle, 4-100m freestyle (25m); 1994 WORLD CHAMPIONSHIPS: gold (50m & 100m freestyle), silver (4x100m freestyle, 4x100m medley); 1998 World Championships: gold (100m freestyle), silver (50m freestyle), bronze (4x100m freestyle); 2003 World Championships: gold (50m &100m freestyle, 4x100m freestyle), silver (4x100m medley); 1991 European Championships: gold (100m freestyle, 4x100m freestyle, 4x100m medley); 1993 European Championships: gold (50m & 100m freestyle, 4x100m medley, 4x100m freestyle); 1995 European Championships: gold (50m & 100m freestyle, 4x100m medley, 4x100m freestyle); 1997 European Championships: gold (50m & 100m freestyle, 4x100m freestyle, 4x100m medley); 1999 European Championships: silver (100m freestyle, 4x100m freestyle(, bronze (50m freestyle, 4x100m medley); 2001 European Championships: gold (50m & 100m freestyle, 4x100m freestyle, 4x100m medley); 2002 European Championships: gold (4x100m medley), silver (100m freestyle); 2004 European Championships: gold (50m freestyle). For The Record: 1992 Olympic Games: gold (4x100m freestyle, 4x100m medley), silver (100m freestyle); 1996 Olympic Games: gold (4x100m freestyle, 4x100m medley, 4x200m freestyle); 2000 Olympic Games: gold (4x100m freestyle, 4x100m medley, 4x200m freestyle), bronze (100m freestyle); 2004 Olympic Games: silver (4x100m freestyle, 4x100m medley); Six World Records: 100m freestyle, 100m butterfly, 2 – 4x100m freestyle, 2 – 4x100m medley; Seven World Records (25m): 3 – 50m butterfly, 4 – 100m butterfly); 1991 World Championships: gold (4x100m freestyle); 1994 World Championships: silver (4x100m freestyle, 4x100m medley); 1998 WORLD CHAMPIONSHIPS: gold (100m freestyle, 100m butterfly, 4x100m freestyle, 4x100m medley), silver (4x200m freestyle); 2003 WORLD CHAMPIONSHIPS: gold (100m butterfly, 4x100m freestyle), silver (50m butterfly, 4x100m medley), bronze (100m freestyle); 1997 WORLD CHAMPIONSHIPS (25m): gold (100m freestyle, 100m butterfly, 4x100m medley), silver (50m freestyle); 1999 WORLD CHAMPIONSHIPS (25m): gold (100m freestyle, 50m butterfly, 100m butterfly, 4x100m medley, silver (50m freestyle); 2000 WORLD CHAMPIONSHIPS (25m): gold (50m butterfly, 100m butterfly), silver (100m freestyle, 4x200m freestyle), bronze (4x100m medley); 2004 WORLD CHAMPIONSHIPS (25m): gold (50m butterfly), silver (4x100m medley), bronze (100m butterfly); 1987 PAN AMERICAN GAMES: gold (50m freestyle, 4x100m freestyle), bronze (100m freestyle); 1999 PAN PACIFIC CHAMPIONSHIPS: gold (50m freestyle, 100m freestyle); NCAA NATIONAL CHAMPIONSHIPS: 19 individual and relay titles. FOR THE RECORD: 1992 OLYMPIC GAMES: 4th (solo, duet); 1996 OLYMPIC GAMES: 4th (team); 2000 OLYMPIC GAMES: gold (duet, team); 2004 OLYMPIC GAMES: gold (team); 1994 WORLD CHAMPIONSHIPS: 4th (team), 5th (duet); 1998 WORLD CHAMPIONSHIPS: gold (duet, team); 2001 WORLD CHAMPIONSHIPS: gold (solo, team); 2003 WORLD CHAMPIONSHIPS: gold (team); 1995 WORLD CUP: bronze (team); 1997 WORLD CUP: gold (duet, team); 1999 WORLD CUP: gold (solo, duet, team); 1993, 1995 European Championships: gold (team); 1997 EUROPEAN CHAMPIONSHIPS: gold (duet, team); 1999 EUROPEAN CHAMPIONSHIPS: gold (solo, duet, team); 2000 EUROPEAN CHAMPIONSHIPS: gold (solo, team); 2004 EUROPEAN CHAMPIONSHIPS: gold (team); 1994 GOODWILL GAMES: silver (duet); 1998 GOODWILL GAMES: gold (duet, team). FOR THE RECORD: 1932,1936 OLYMPIC GAMES: Head Coach; Coach of Swimmers Winning 9 Gold, 7 Silver and 7 Bronze Olympic Medals; Coach of 1931, 1935 Japanese Team vs. USA Team Duel Meets; Formed First Nippon Intercollegiate Swimming Association; Member Amateur Swimming Federation of Japan; Coach of First Japanese Female Team Exhibition Meet in Hawaii: 1929. FOR THE RECORD: 55 Years a Competitor, Coach, Judge, Administrator in Synchronized Swimming; Member FINA Technical Synchronized Swimming Committee: 1984-1996 (Chairman 1984-1992); Member ASUA Technical Synchronized Swimming Committee: 1979 – 1984; Editor and Primary Author of First International Training Manuel for Synchro Judges: 1979; Edited First FINA Judging Manuel (1988); Chaired FINA – TSSC Ad Hoc Committee on Degrees of Difficulty; Developed First Video Tape Series for Training International Routine Judges; Drafted First Rules and Guidelines for Technical Routines; International Clinician Conducting 37 International Clinics; Synchro Competition Manager for 1996 OLYMPIC GAMES; U.S. Chef de Mission for 1982 World Championship; Synchro Judge/Official at Five Olympic Games, Five World Championships, Five Pan American Games and Seven WORLD CUPS. FOR THE RECORD: ELEVEN WORLD RECORDS: Three (100m backstroke), Two (200m backstroke), One (400m backstroke), One (150y backstroke), One (100m backstroke), Two (3x100m Medley Relay), One (3x100y Medley Relay); 1964, 1968 OLYMPIC GAMES: Coach With Dutch Swimming Team; Started First Synchronized Swimming Team in Europe.